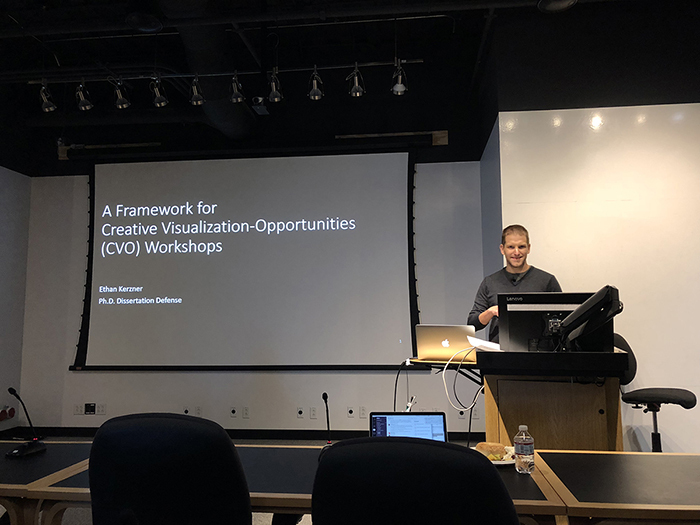 Congratulations to Dr. Ethan Kerzner who successfully defended his PhD dissertation in the Viz Design Lab at the University of Utah’s Scientific Computing Institute. 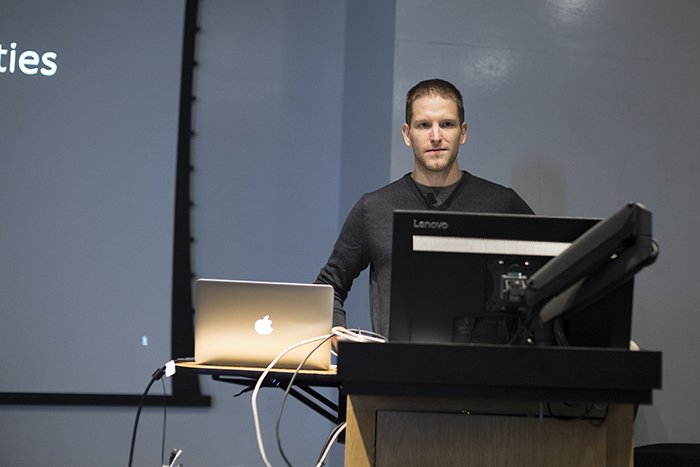 Ethan’s work has been instrumental in helping us to understanding complex gap junctional networks in our retinal connectomics initiatives. His Graffinity software package allowed us to explore multivariate graphs, and pull out complex relationships of neurons and gap junctions that would not have been easily possible with other approaches. Ethan is now off to Google X, and we wish him the very best and look forward to many more interactions in the future. 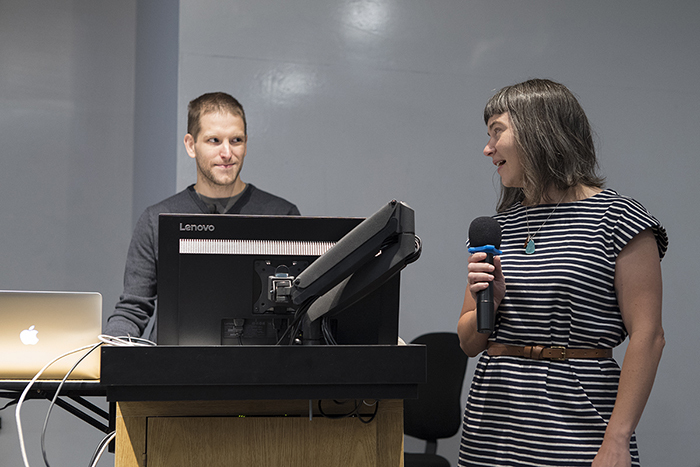 This entry was posted in Daily and tagged connectomics, dissertation defense, Ethan Kerzner, Graffinity, Leica, Leica SL, Zeiss 35mm f/1.4 Distagon on August 11, 2018 by bwjones.